It's the epigraph to E.M. Forster's Howard's End, and it's a maxim that serves Columbia Citizens well. Connect your passions with your perambulations. In our local scene, connect with issues that affect the big picture. Connect with neighbors who share your interests and concerns. And have some fun while you're at it. Next week Citizens celebrate International Eat Ice Cream for Breakfast Day at Full Tilt. Columbia City Theater showcases some class acts. Check out Bike Works' warehouse sale this weekend. Tonight the Columbia City Climate Co-op holds its final meeting. Saturday the Columbia City Gallery hosts an artists' reception for its new exhibits. The Southeast District Council meets tonight to discuss City business. Our Freedom Socialists invite you to discuss Trotsky's text. Goldy connects the dots between his neighbors and the Tea Party. 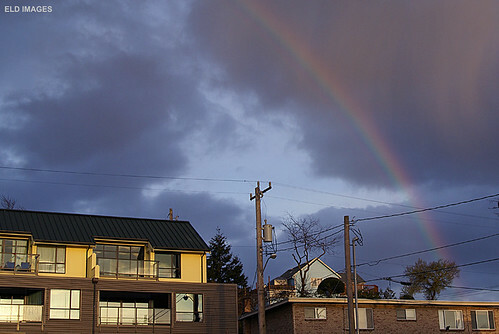 Seattle Housing Authority celebrates the opening of its newest apartment building in Rainier Vista. Seattle Transit enthusiasts plan a meetup in Columbia City. A view of Columbia City from Beacon Hill. Neighbors host a series of fermented food workshops. Need tips on pruning your apple tree? A neighbor could help you out and use your clippings.